We could not have asked for a happier, more enthusiastic group today with Doug and his crew! We worked hard to get them a good catch, but the fish just wouldn’t bite like we needed. It turned out to be a beautiful day and everybody kept in great spirits the whole time. We certainly appreciated their patience and the good time they shared. Thanks Doug for bringing your gang and look forward to fishing with you again. Appreciate your business. Today’s trip started out strong as soon as we dropped our lines in the water. 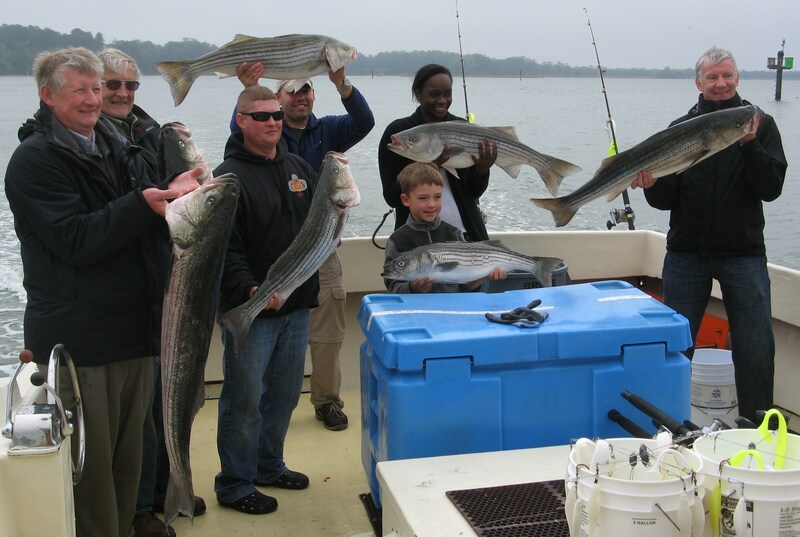 But later in the day the fishing slowed down and it took lots of patience before we returned to the dock with a good catch of stripers. Congratulations to Scott on this big boy. Great to have you all fish with us and hope to see you back again soon. Appreciate your business! Thanks to Jeff and his group for fishing with us today. Although we had some rain, we had great fishing today, including 2 state citations. 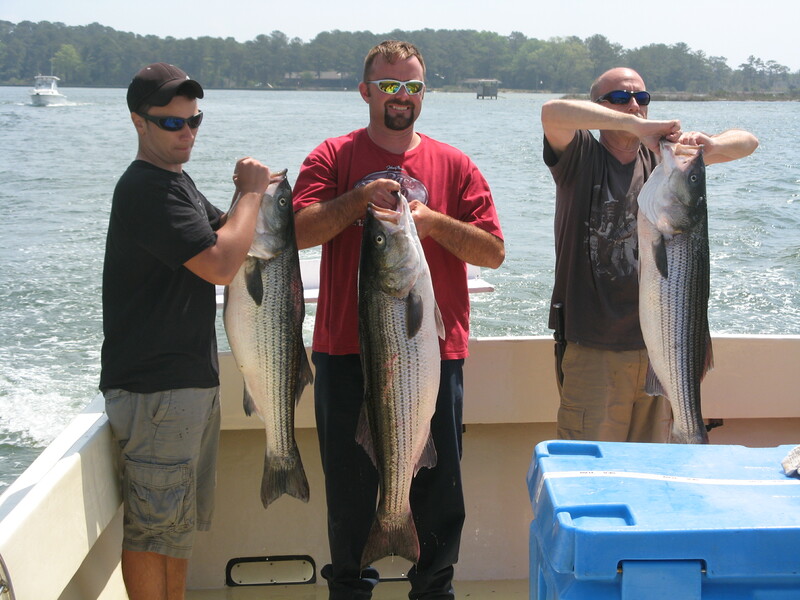 We started out strong and after some waiting, things picked up and we brought home our limit of rockfish. Appreciate your business Jeff and look forward to fishing with you again. We left the dock at 12:30pm and the fish were waiting for us! We got them good, catching our limit some of the biggest fish of the season and successfully releasing healthy fish that are still growing! We enjoyed meeting Ken and his family and friends and had a great trip with them! Appreciate your business! 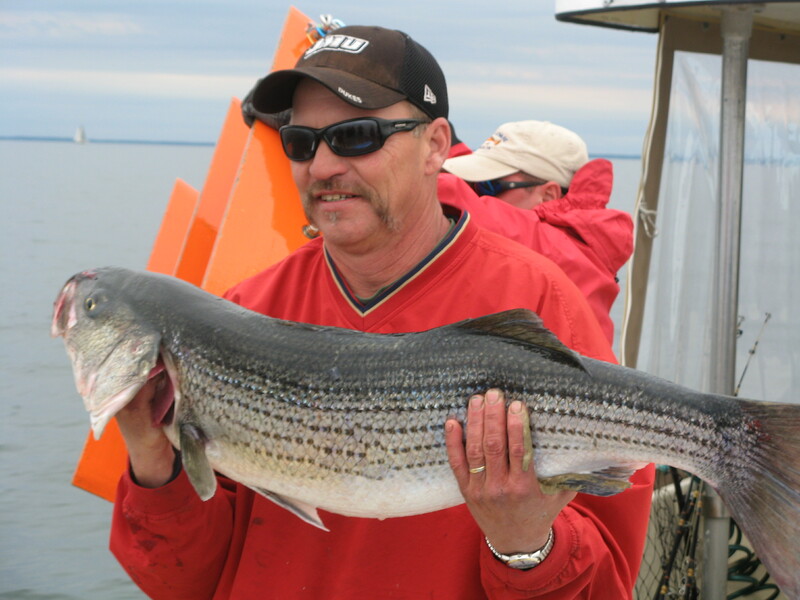 We are off to a great start this opening day of Trophy Rockfish Season with plenty of action! Catching our limit with Collins and his gang was no problem…all a nice class of fish. We were thankful to start another season with one of our loyal fishing customers! Thank you Collins for coming to fish with us again! Appreciate your business!